Snapped this yesterday when walking up the stairs to rooftop parking at a local shopping mall. A very ordinary photo was made more dramatic by converting to black and white and upping the contrast a bit. 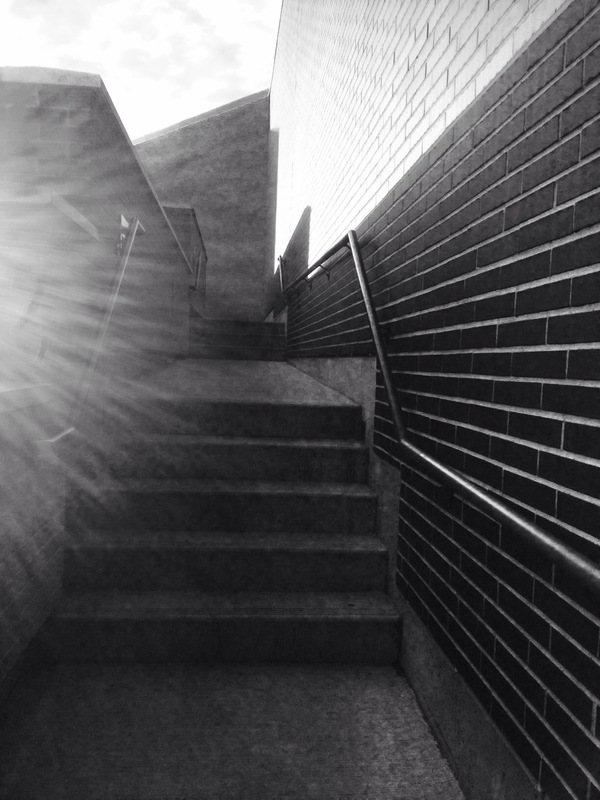 This entry was posted in Blog, Photography and tagged #photo101, architecture, b&w, iphoneography, photography, stairs. Bookmark the permalink. I noticed Day 5, Day ?, and now Day 12. Curious counting sequence. Um… Yes, about that… I have these good thoughts about going back and filling in and catching up… Remains to be seen whether these impulses will remain thoughts or convert into action!